Costs – Learn more about the average costs of tree removal and maintenance in Fort Walton Beach, Florida. FAQs – Considering new trees in your yard in Fort Walton? Know before the first winter or harsh summers what trees will flourish or wain under the conditions so you don’t have to plant new ones every year. Services – Talk to professionals in the area who know more about tree maintenance and removal, along with the tree culture of Fort Walton. Call today. How Much Do Tree Services Cost in Fort Walton Beach? Tree maintenance is a concern for most homeowners, but in Fort Walton Beach, it is critical to keep trees pruned and thinned to protect the safety of humans and property in case of an extreme weather event. Here are the typical costs for routine tree maintenance and removal services in Fort Walton Beach, Florida. The average cost of tree removal in Fort Walton Beach is $500, give or take about $90. Some homeowners have paid as much as $900 for a tree removal though. The price tag on a whole tree removal varies by the size of the tree, including both its height and girth. 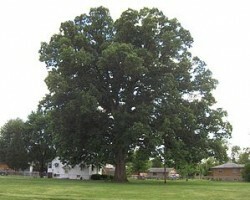 It also depends on the tree’s relative location and the difficulty of the job. The lowest price for a tree removal in Fort Walton Beach is $150. For every tree removal, there is a stump to remove as well. Stump removal is not usually included in the price of a tree removal, so homeowners should make additional plans to dispose of leftover stumps. A high-density stump with difficult roots or soil with a lot of small rocks that will obstruct equipment will cost more to grind up. It usually costs between $75 and $130 for a contractor to remove a medium-size or large stump in Fort Walton Beach, including both labor and equipment. Trees in Fort Walton Beach must be maintained to ensure the safety of people and property. The chance of injury or damage from trees felled by “acts of God” like hurricanes is not worth the procrastination. Tree and shrub maintenance in Fort Walton Beach costs an average of $350 per service call. Few pay more than $415 for a tree maintenance service like thinning, pruning or soil fertilization. A small number, however, report paying nearly $750 for their tree work. A major tourist destination often grouped with nearby Destin and Okaloosa Island, the small Gulf Coast town of Fort Walton Beach hosts a diverse range of tree species, from pines, oaks and hickories to palms and magnolias. The tallest trees in Fort Walton Beach are undoubtedly the towering palm trees that line the city’s sandy streets and landscapes, such as the sabal palm, also known as the blue palmetto — Florida’s state tree. 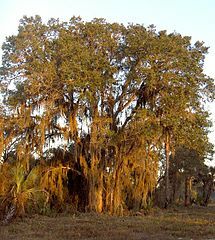 Okaloosa County is also home to an enormous Atlantic white cedar (Chamaecyparis thyoides) designated as a state champion tree for its prodigious age and circumference. Property owners in Fort Walton Beach should take care to trim back any trees on a public right-of-way, like a street, to preserve its “free and full use.” Due to local drought and fire concerns, residents must address any tree matter that could become a fire hazard. Usually, this means removing dead trees and wood waste in a timely fashion. Residents should also avoid planting large canopy trees under overhead utility lines or within a utility easement. If a tree threatens the free flow of electrical transmission, the utility company will trim or remove it at its discretion. Gulf Coast arboriculture can be tricky. Like other Gulf coastal zones, the trees in Fort Walton Beach are vulnerable to the effects of powerful winds and destructive storm surges. Those living on the storm-battered Gulf Coast should plant landscape trees with hurricane survival in mind. Basic pre-hurricane tree maintenance must be undertaken in Fort Walton Beach. To ensure local trees only pose a minimal threat in bad weather, homeowners should trim back all tree parts that make contact with their house, especially weak branches. They should also periodically thin each tree’s foliage to allow air flow through the crown. This will help the tree stay rooted when it faces gale force winds. It is important to stay abreast of weather updates here. Homeowners should not undertake any major tree maintenance if an imminent storm has been officially named. If a Hurricane Watch or Warning has been issued, no vegetation should be cut at all. The climate of Fort Walton Beach features the distinctive Panhandle ecology found across northwestern Florida. It sustains the closest approximation of a subtropical jungle in the continental U.S.
Okaloosa County’s humid wetlands support a microcosm of the Gulf Coast tree population. Species range from longleaf pine and mossy oak to little gem magnolia and the swamp-dwelling dwarf wax myrtle. Native and drought-tolerant trees suitable for the city’s USDA Hardiness Zones of 8A and 8B can be found at the University of Florida’s Florida-Friendly Landscaping Program. Most tree fruit in Fort Walton Beach is deciduous, so it needs a certain number of chill hours each winter to bloom. Apples, peaches and plums can be grown here, but not all varieties are suitable. For instance, Anna and Dorsett golden apples often prosper, but not red and golden delicious apples due to their higher chill requirements. The area’s mild, subtropical winter has 400 to 650 hours under 45 degrees Fahrenheit, so it is important to choose varieties that need at most 650 chill hours. The emerald ash borer, responsible for millions of Ash tree deaths across the nation, is highly likely to threaten Florida in the near future, state officials say. Other pests in the county include the granulate ambrosia beetle, dangerous to fruit trees like the peach; bagworms, which infest juniper and arborvitae species; and the black twig borer, a bug that has severely damaged orchid and avocado trees in the state.